65% Cotton / 35% Polyester zip up front sweatshirt. 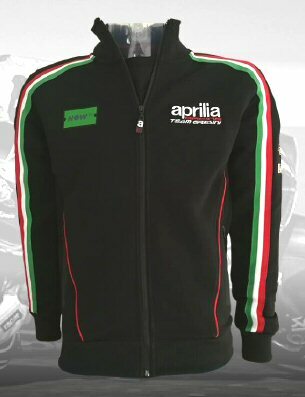 The official Moto GP team gear for Aprilia Gresini in the 2018 season. Sized in European proportions, order one size larger than normal to ensure a good fit.